COOLING CARE DEALER MITSUBISHI ELEC. Air Conditioning Systems 9910885865-7210185865 Mitsubishi Electric is a world leader in air conditioning systems for residential, commercial and industrial use. Challenged to create air conditioning systems that provide exemplary performance in the wide-ranging climatic conditions found throughout Japan, our engineers develop amazingly sophisticated yet durable units and systems capable of constant use under virtually any natural climatic condition on earth. Each product is an amazing feat in its own, delivering years of quiet operation, energy-efficient performance and minimum impact on the environment. COOLING CARE DEALER MITSUBISHI ELEC. 9910885865-7210185865 Mitsubishi Electric is a world leader in air-conditioning systems for residential, commercial and industrial use. Our efforts to make indoor life more comfortable began in 1921, with the introduction of an electric fan. It became an instant hit, and a little over 10 years later we started making coolers. The challenge of creating air-conditioning systems suitable to Japan's wide-ranging climate conditions led us to the development of amazingly sophisticated yet rugged machines and systems that can take the punishment of constant use in virtually any condition on earth. And do so quietly, energy-efficiently and with minimum negative impact on the environment. For years and years on end. 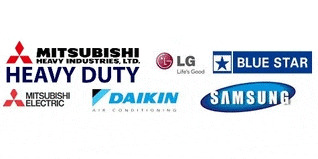 MITSUBISHI ELECTRIC AIR CONDITIONER DEALER COOLING CARE 9910885865-7210185865 Mitsubishi Electric is a world leader in air conditioning systems for residential, commercial and industrial use. Challenged to create air conditioning systems that provide exemplary performance in the wide-ranging climatic conditions found throughout Japan, our engineers develop amazingly sophisticated yet durable units and systems capable of constant use under virtually any natural climatic condition on earth. Each product is an amazing feat in its own, delivering years of quiet operation, energy-efficient performance and minimum impact on the environment.